Thousands of people look forward to the Midtown Atlanta Music Festival each year. Are you one of them? This two-day event takes place in September in the heart of the city. Atlanta’s lively music scene and diverse culture culminate in Piedmont Park for a weekend you won’t forget. Some of the most talented artists take the stage for stunning performances. Find out everything you need to know so you can join the excitement this year! Whether you’re in town for the Midtown Atlanta Music Festival, a relaxing getaway, or a business trip, there is so much to enjoy here. We’ve compiled information on the best places to go and things to do to make your stay memorable. 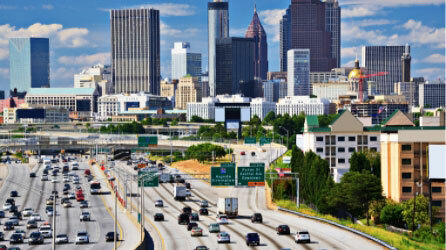 Request your free Travel Guide now to the Midtown Atlanta area! Explore our favorite restaurants, art galleries, theaters, and more. You can even learn about more upcoming festivals! What Is the Midtown Atlanta Music Festival? Also known as Music Midtown, this must-see annual event takes place in mid-September, featuring some of the biggest names in the music industry. Genres range from rock and pop to hip hop and electronic. With over 30 talented artists performing, you’re sure to see some of your favorites. Previous performances have included Weezer, Blink-182, Bruno Mars, and Big Sean! Look at this year’s lineup and find out what all the buzz is about. Part of what sets Music Midtown apart from other festivals is its beautiful venue — Piedmont Park. At over 200 acres, this park brings the community together in the heart of the city. It’s filled with scenic pathways and lush, green fields. During the festival, you can check out four different outdoor stages for performances. The park also has you covered with several food vendors, bars, and a Ferris wheel offering remarkable views of Atlanta! It’s all within walking distance of Stonehurst Place Bed and Breakfast. Are you sold yet? Buy your tickets early so you can check out Music Midtown this year! People are always eager to get their hands on them. Tickets typically go on sale in mid-June leading up to the event. Options range from General Admission to VIP to Super VIP, offering different levels of service and amenities. No matter which one you choose, you’re in for a fantastic experience! To ensure you have the best time possible, we have some tips for you! We recommend renting a locker for the event. It’s $35 and well worth the price. You have access to it all weekend long and can store things like sunscreen and rain jackets. There are even universal chargers in each locker so that you never have to worry about your phone dying. Make sure you arrive early before the gates officially open. This way, you can get a more convenient spot in line and get through the security check sooner. Keep in mind that you’re only allowed to bring a small bag into the park — no backpacks. If you’ve never been to Piedmont Park before, bring a festival map. These are usually released as we get closer to the event date. Parking is limited in the area, and festival attendees are encouraged to use public transportation when possible. 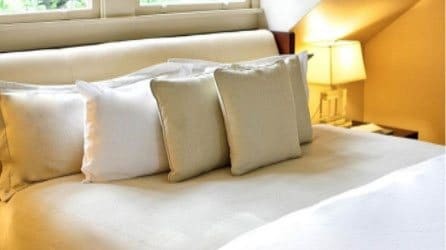 Forego the extra trouble by staying at our Midtown Atlanta bed and breakfast nearby! Stonehurst Place is the epitome of elegance in Midtown and is just a short walk away from Piedmont Park. We offer top-of-the-line amenities to our guests, including gourmet breakfasts, Amazon Echo Spot alarm clocks, and luxury linens. Reserve one of our luxurious guest rooms, like The Farnsworth. This expertly designed room features a warm fireplace, a deluxe, queen-size bed, and a contemporary bathroom with marble flooring and a heated towel rack. Don’t wait; book your stay now and take the trip of a lifetime! Remember to take advantage of our Direct Booking Discount! Don’t worry about searching for the best price. You can save money by booking right here on our website!